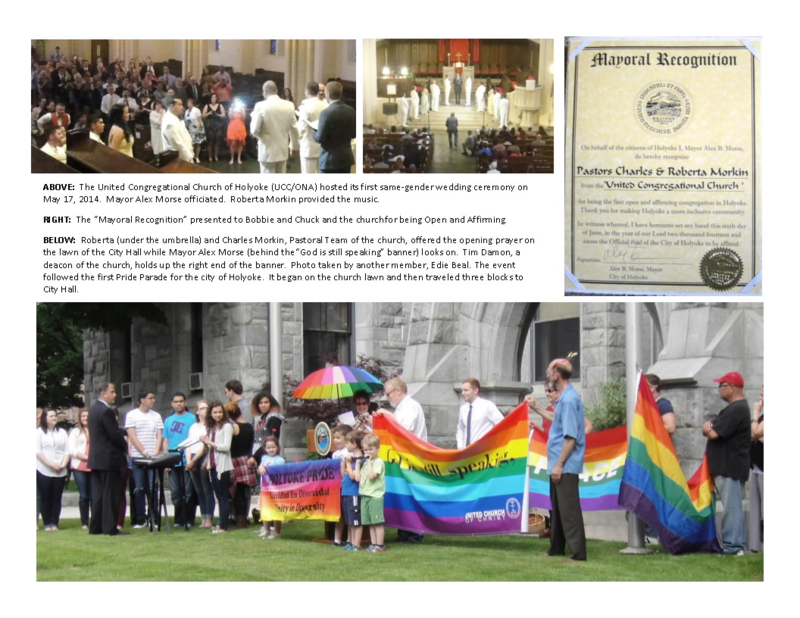 MACUCC: Holyoke Celebrates Pride! MACUCC: Holyoke Celebrates Pride! Holyoke held its first even Pride Parade on June 6, 2014! The parade left from United Congregational Church on Appleton Street and ended at City Hall, where Holyoke Mayor Alex B. Morse - the city's first openly gay mayor - addressed the crowd. The United Congregational Church of Holyoke had hosted its first same-gender wedding ceremony on May 17, with the Mayor officiating. Read more below! Read an article about Holyoke Pride on MassLive here. Photos and writeup below courtesy of Pastors Roberta and Chuck Morkin.